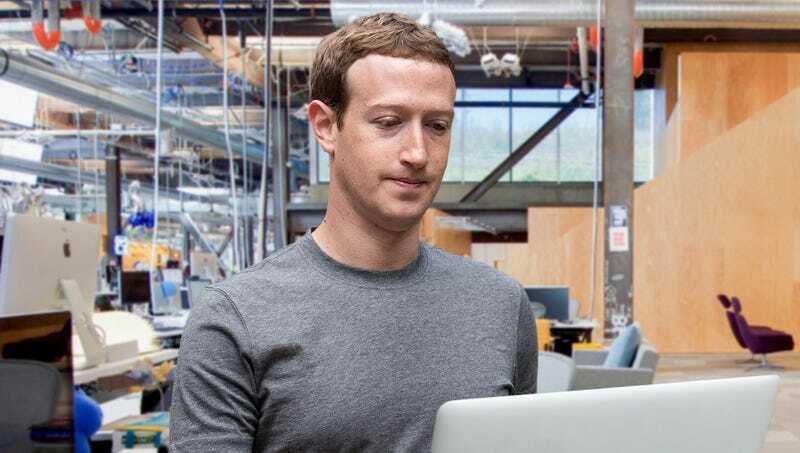 MENLO PARK, CA—Accessing the data his platform has harvested over the years from its nearly 2 billion users, Facebook CEO Mark Zuckerberg reportedly prepared Wednesday for his upcoming congressional testimony by poring over the personal information of U.S. senators and representatives. “Let’s see here, as long as I get these analytics down pat, I should be able to accurately predict their behavior and opinions and deliver a message they can immediately fall in line with,” said Zuckerberg, who carefully studied the private data Facebook has obtained from members of the House Energy and Commerce Committee, as well as their constituents, in hopes of manipulating the lawmakers’ behavior and keeping his company unregulated. “Once I’ve learned their exact personality traits from these data profiles, all I’ll need to do is tailor my responses in a way that preys on their hidden vulnerabilities. With all the good stuff here, I should be able to get those dumbfucks eating out of my hand and make it out of there in an hour, tops.” At press time, sources confirmed Zuckerberg was researching the lurid details of the committee members’ personal lives and looking for something he could use as an icebreaker in his opening remarks.